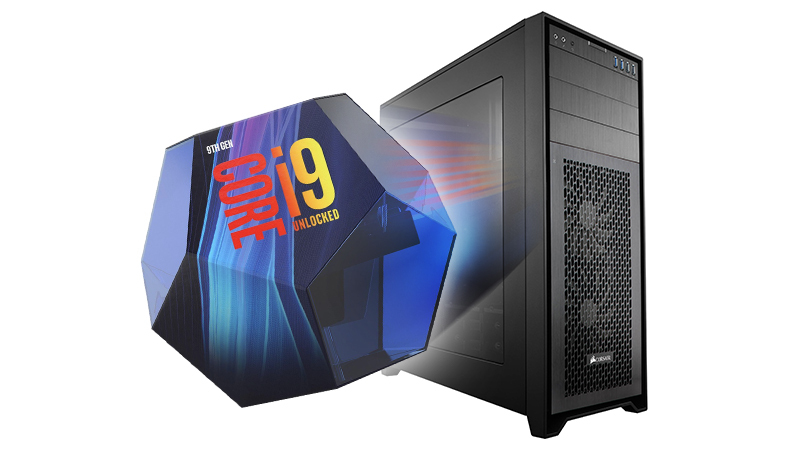 Lease a Custom Spec PC Featuring the i9-9900k with Hyper-Threading & GeForce RTX Graphics. HardSoft is proud to present our Flagship Intel Custom Build range featuring 9th Generation Intel Core Processing. 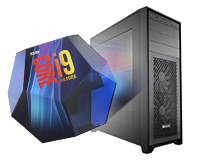 The i9-9900K provides 8 Cores, 16 Threads and Max Frequency of 5.0GHz. The i9-9900K is the only Processor in the first entrants of the Coffee Lake Refresh that provides Hyper-Threading for a high-end desktop CPU experience. To top off your high-end CPU you will, of course, need a high-end graphics card so we are happy to offer the new NVIDIA RTX 20 series. The RTX 20 series bring you Real-Time Ray Tracing, Programmable Shading and fast and quiet performance. Tell us What you Need. We can Build it! With over 35 years of experience building Custom PCs, we can guarantee premium build quality here at HardSoft. We deal with all premium IT hardware suppliers in the UK. If you Can’t find what you’re looking for & need a totally unique build & quote, Contact us, tell us what you need & we’ll build it! Leasing this Custom PC provides you with HardSofts Three Year ‘No Quibble’ Warranty which includes on and off-site Engineer technical support. Installation and setup are also available at no additional cost for all London boroughs and Home Counties*. We have incorporated the new i9-9900X in our Custom builds to provide you with the opportunity to create the intensive machine you need. With this X299 Chipset, you’ll get a 3.5GHz Base Frequency, 10 Cores/20 Threads and 19.25MB Smart Cache which twinned with the Nvidia GeForce RTX 2060 is more than capable of meeting any Creative Software demands.